An office space should be an extraordinary area that is accessible, inviting and functional. For the Lifestyle Centre offices, our brief was to join two companies working under the same umbrella, but allow them to function separately. This was achieved by encouraging natural traffic flows and separation using office furniture combined with smart spaces. We gave particular attention to detail with the use of materials and texture, and general ergonomics of the office. The existing space was completely gutted down to its basic shell and the team decided to use the exposed ceilings, influencing an industrial look and feeling that was gently maintained throughout the space. This premium office became a home away from home for the client and is a great balance between functional and striking. Evolution Architects were the winners of a limited design competition for the Simbithi Office Park. True to their commitment to sustainable architecture, the design implements fundamental green building principles. Views of the sea and estate are maximised and the landscaping and built form knit together to form a high quality, functional and healthy working environment. The architectural design of this office park follows our values in our commitment to sustainable architecture. Green principles were implemented through out the project while paying careful attention to the client’s overall budget . The brief was to design a chic industrial office building, based on green building principles, for Network Configurations. The building to accommodates their young and dynamic team. 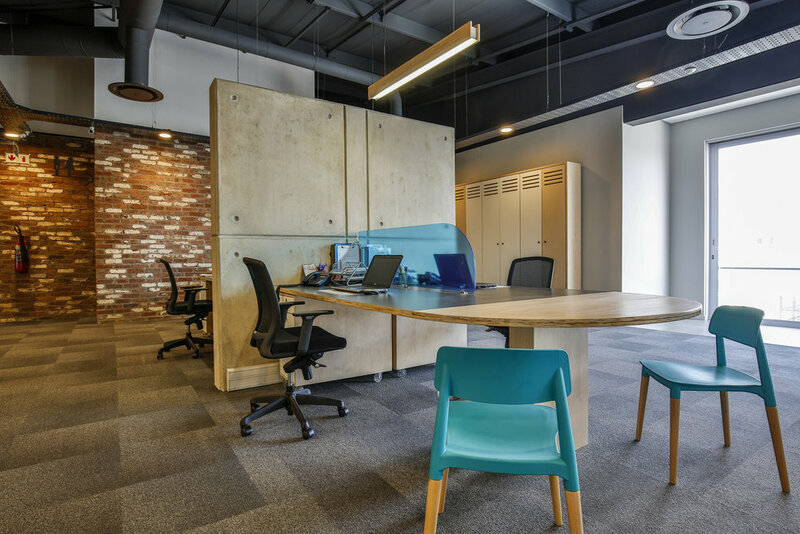 From the inception of the project, focus was placed on the sustainability of their new contemporary office. It is centrally located in Westville and is highly visible from the M13 freeway. Forming part of the prestigious Ridgeside Office Park, Shepstone & Wylie Attorneys’ office building is the first in Kwa- Zulu Natal and the second in South Africa to achieve a four star Green Star SA Office v1 Design and As Built rating from the Green Building Council of South Africa (GBCSA). Our brief was to maximise on the magnificent east-facing sea views, whilst using the principles of the green star rating, as set out by the GBCSA. The architectural response to the site and brief was to create a better environment for the office workers, resulting in a more environmentally sound place. Passive climatic control elements, as well as energy saving design have all been implemented where possible in order to respond to the principles of sustainable architecture.